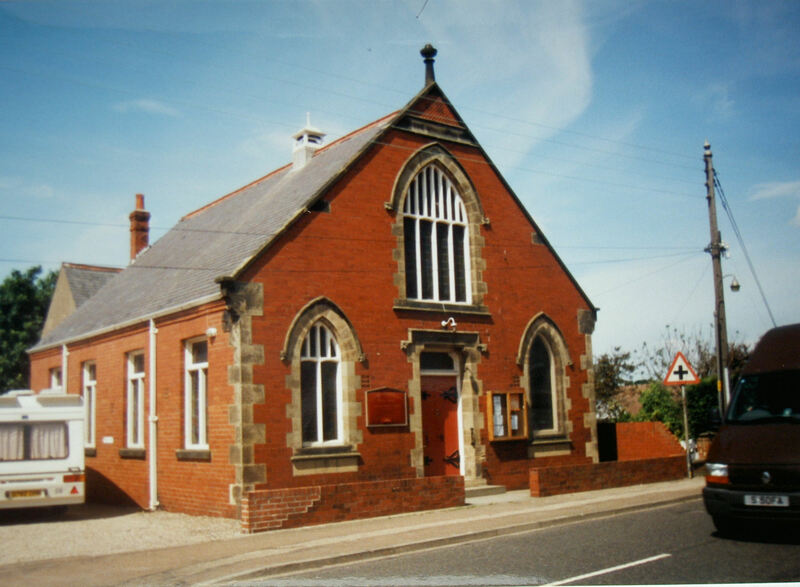 The village was first missioned by Clowes in 1821 and the first chapel was opened on June 26th 1859. The opening is reported in the Primitive Methodist magazine by E Greenwood. Speakers at the opening included J Allerton (Hernsby), Rev H Pratt, E Brock, E Wright, N Ransom, T Bell, M Myers, GT Wallace (Independent) and E Greenwood. The new chapel held 120 and cost only £54 because the site given by T Carter. Towards that, an encouraging £33/10/0 had been raised. It was located on the opposite side of the road to the 1907 chapel just south of High Street , next to the Jet Miners Inn, behind where Anvil House is currently located. The chapel is still open in 2015. I’ve added detail of the opening of the previous chapel here. Does the building still exist?